What touches, moves us to compassion? Why is sitcom-laughter affecting, are we troubled by staged mournings, moved by an emoticon? Through which darkness of bodies affection is lightning? And what are the artefacts of this transmission? In SYMPATHEIA a 12 bodied choir dedicates to the oblique autopoesis of collective affection exemplified in crying and laughing. Against the background of increasingly irrational expressions of affects within the diverse echo chambers of society OBJECTIVE SPECTACLE examines the techniques of affective entanglement. Which spectacular artifices move us to blind sentiment and exalted excitement? Do shared affects beyond signification and identity contain a liberating potential? OBJECTIVE SPECTACLE converts the BLACKBOX into a performative environment of contagious laughters and songs of teariness, which seem to need no individuals nor a context. A spectacular happening between mutually affecting bodies of resonance! OBJECTIVE SPECTACLE works at the intersection between happening, performance, installative art and soundart and examines dispositives of spectacular sensation in medial settings, political environments and fgurations of society. Founded in 2015 in Berlin by stage designer and architect Clementine Pohl and theoretician, musician and director Christoph Wirth the interdisciplinary label creates in shifting constellations experimental and participatory formats for diferent performative, discoursive and artistic contexts. Their works have been shown internationally lately in the context of the series „Immersion“ of Haus der Berliner Festspiele 2018. A continious collaboration links OBJECTIVE SPECTACLE strongly to venues like Ballhaus Ost Berlin, Vierte Welt and PACT Zollverein Essen. 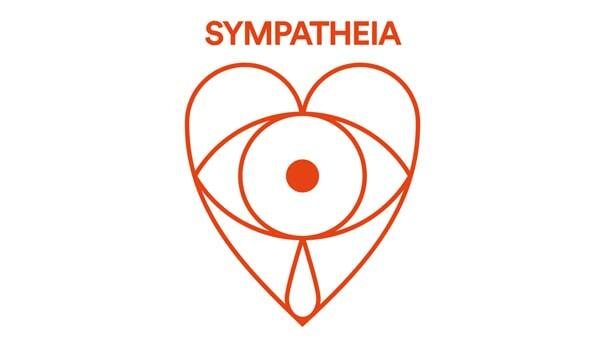 For SYMPATHEIA OBJECTIVE SPECTACLE works together with choreographer Sigal Zouk, performer and dancer Hermann Heisig, experimental musician Lucio Capece, vidoe artist Savy Sniper and twelve volunteers from Berlin. A Pohl & Wirth production in cooperation with Ballhaus Ost. Supported by Fonds Darstellende Künste e. V. and the co-financing fund of the Berlin Senate Administration for Culture and Europe. With the friendly support of Petersburg Art Space and Tanzfabrik Berlin.